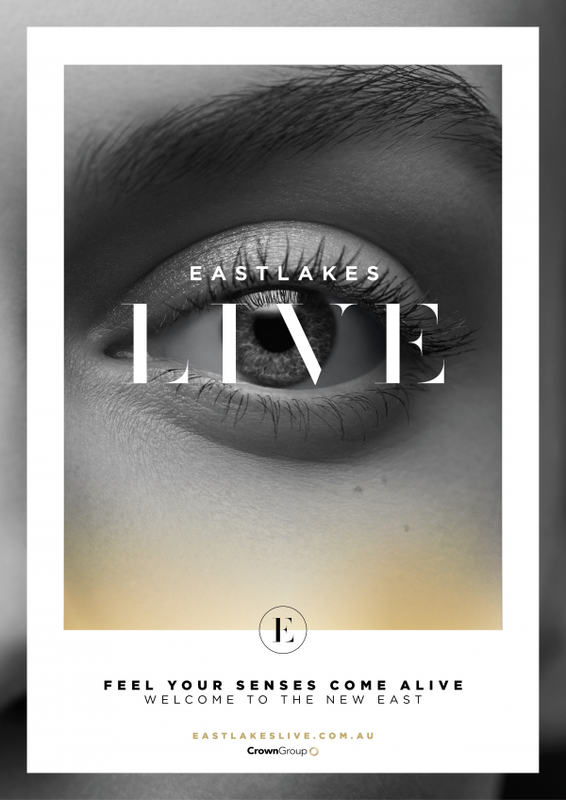 Crown Group is bringing a new vision to Eastlakes, a suburb in one of Sydney’s growth corridors. 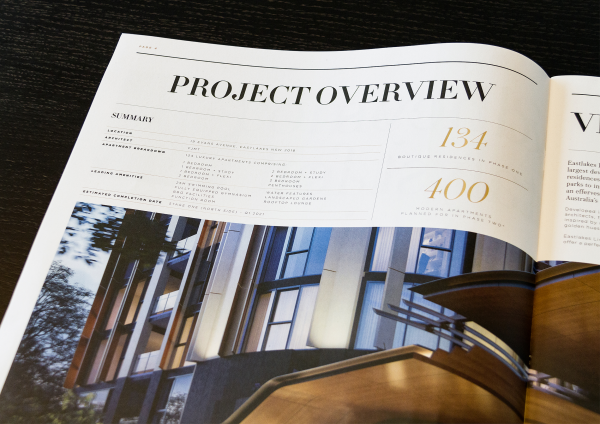 Part of a $1 billion dollar urban renewal project, Crown Group partnered with world-renowned architects FJMT to deliver a new standard of luxury to the suburb. 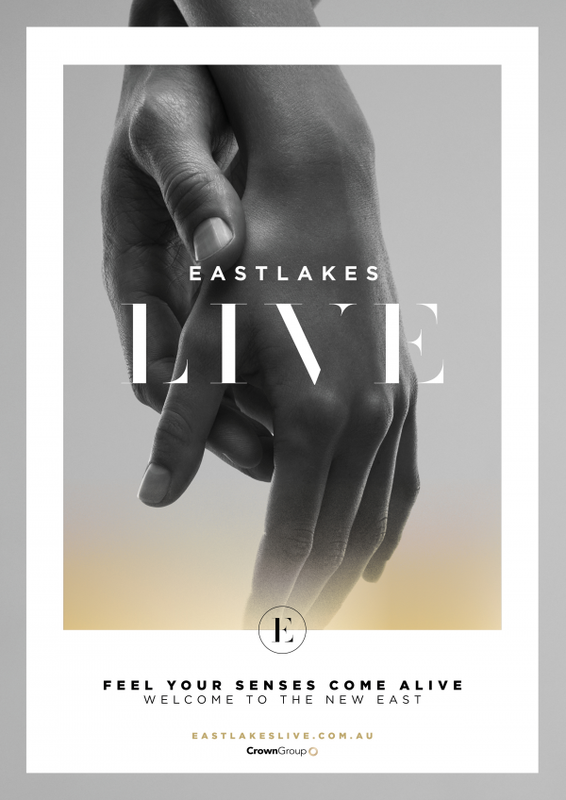 This development will feature a stunning range of 1, 2 and 3-bedroom residences above curated shopping, dining, and lush public realms for cultural or community events. 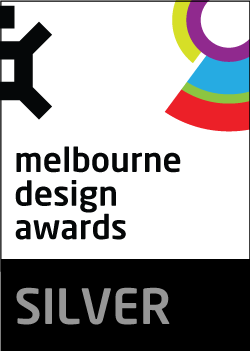 Cornwell was tasked to deliver a brand strategy that reposition the suburb as a desirable neighbourhood, as well as brand development for the mixed-use precinct, the first of its kind in the area. 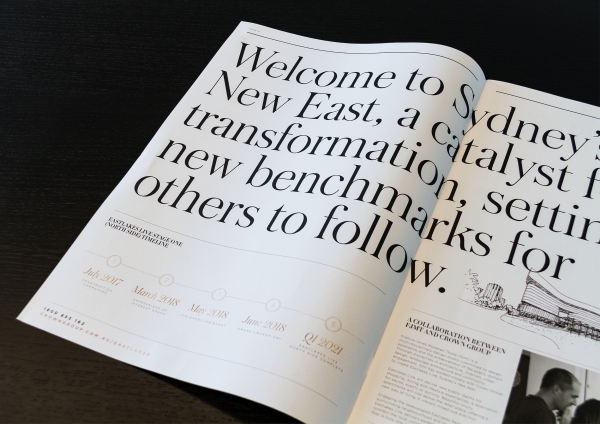 To standout in a busy Sydney property market, we delivered a concept that was truly unique and avoided the expected property cliches. 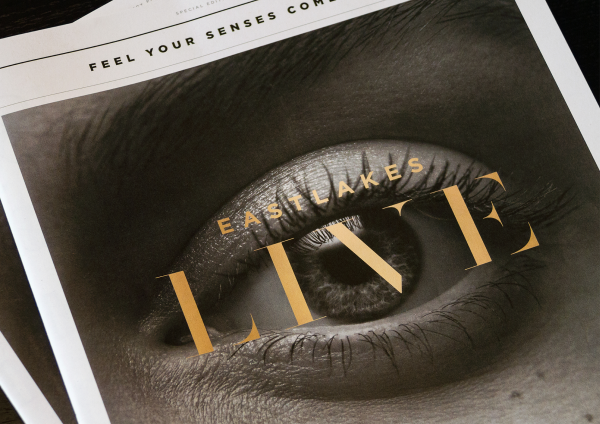 We visualised an emotional and sensorial connection to the precinct, a brand that reflected the visceral experience to be had at Eastlakes Live. 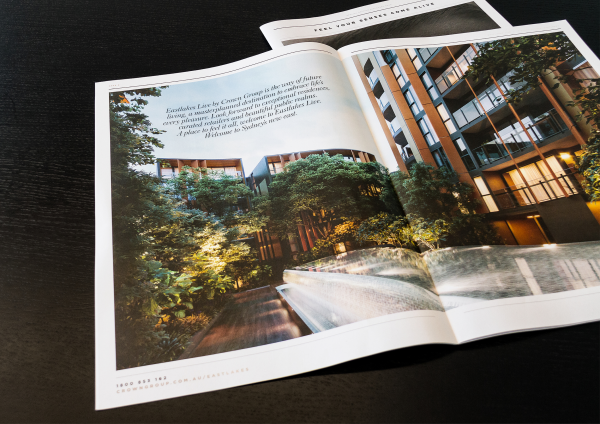 We explored the many seamless experiences and possibilities through the different senses, integrating the residential and retail aspects of the project. Graphic photography was used to boldly visualise the sensory experience. 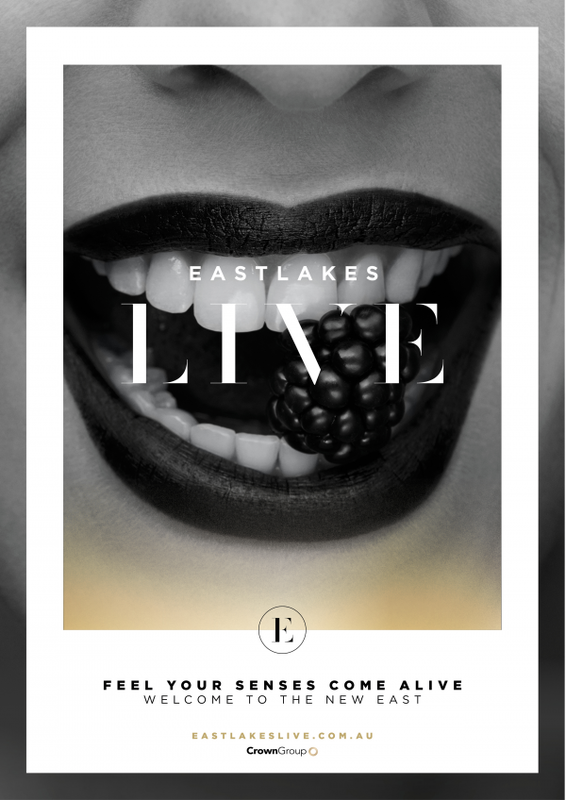 Our brand strategy, identity and collaterals needed to change current perceptions of the Eastlakes suburbs, and create excitement for what is to come in the near future. We celebrated its architectural vision in our communications, while using a colour palette that reflects their inspired designs. 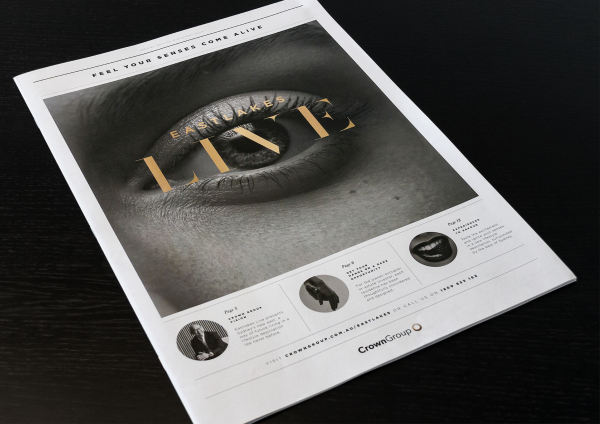 Just as importantly, we had to tell a story of transformation for the area, while creating something new with cut through, intrigue and talk value. 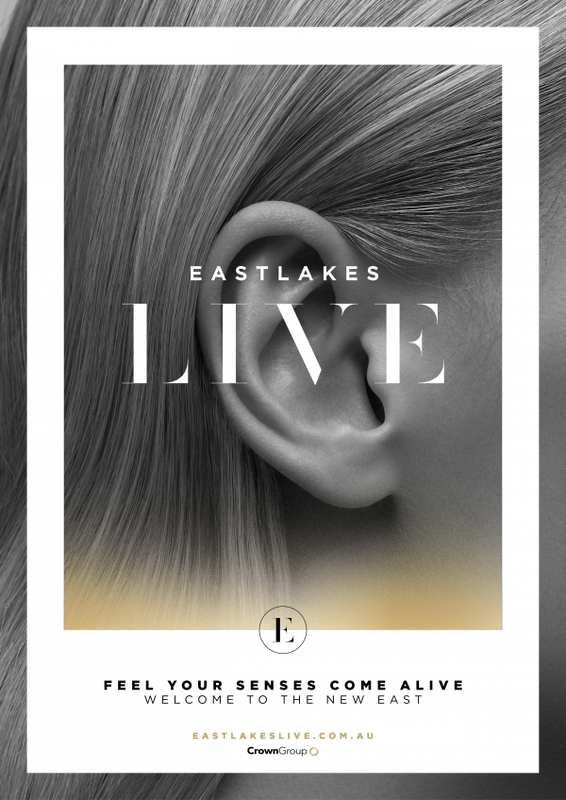 The Eastlakes Live branding, concepts and marketing collaterals were well-received by internal and stakeholders. Its recent launch in May 2018 was highly successful, with a large turnout of 1500 and many expressions of interest.